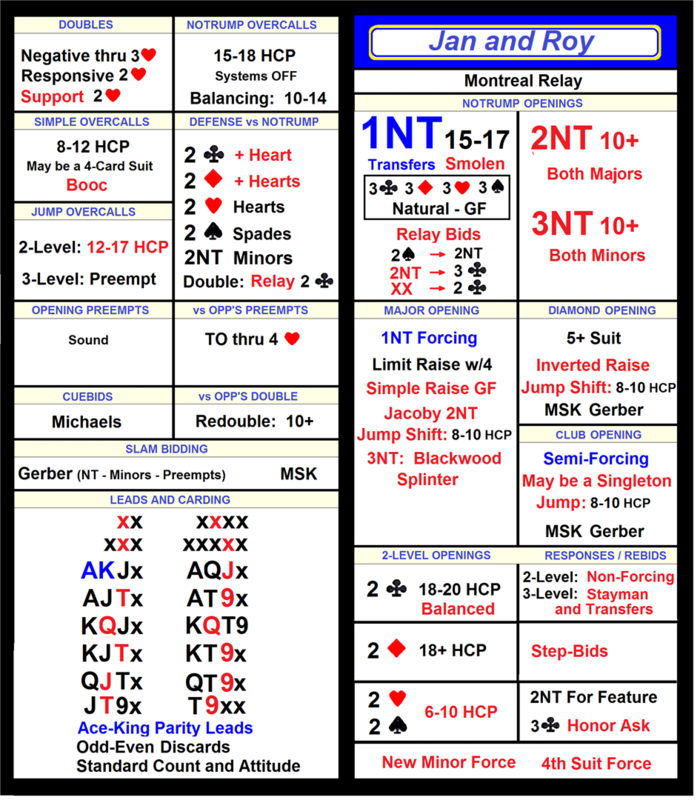 This is a typical convention card for the Montreal Relay bidding system, and if you click on each section you will find a short discussion of the agreement. Thanks, Jan, John, Richard and Gabrielle for being such great partners! You've made bridge fun.